Tom has been practicing law since 1988. He advises public sector employers on labor and employment issues, legislation, the Illinois constitution, the Illinois Public Labor Relations Act, and other state statutes, and represents them in arbitrations, administrative hearings, circuit court litigation, appeals, and other litigation. Tom represents private sector employers in injunction actions and trials in state and federal court, including employers seeking to enforce trade secrets and rights under restrictive covenant agreements. Tom also provides employers with day-to-day counseling and strategy on labor and employment matters. Tom has served as a mentor to law students, has been asked to address law school students on the practice of law, and has been a guest lecturer to law school students on labor and employment issues. Tom has substantial litigation and trial experience, including obtaining numerous favorable verdicts and judgment in favor of Laner Muchin clients in a broad array of employment-related matters. Tom has substantial experience in non-compete/trade secrets litigation, and has obtained numerous favorable outcomes for Laner Muchin clients in such matters. 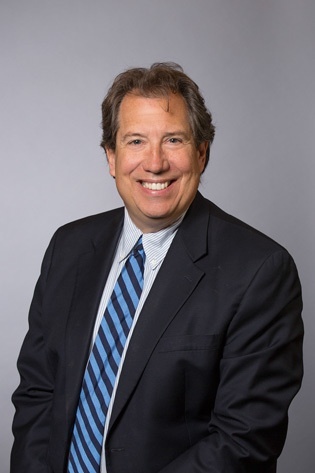 Tom has significant appellate experience, including arguments on matters involving the Illinois Constitution and Illinois Public Labor Relations Act. Tom has tried multiple unfair labor practice hearings before administrative law judges of the Illinois Labor Relations Board, and made arguments to the Board, including a 25-day hearing on behalf of a public sector entity under the Labor Relations Act. Tom has reviewed and edited draft legislation proposed by public sector and private sector clients. Tom has given training to employers and employer groups on harassment, diversity, employment laws, and the proper way to discipline and motivate employees. Tom has prepared opinion letters for clients concerning their obligations under the Illinois Constitution and State statutes. Law Clerk to the Honorable Harry D. Leinenweber, U.S. District Court, N. D. Ill., 1989-90.